My naked littles, hangin' out together. One of my favorite shots of the evening, taken while waiting for the fireworks show. Watching her first fireworks show! We think we want to get close enough to feel the boom next year! After Sasha got sick, Daddy insisted on getting a box fan. Immediately. We've been having a lot of trouble cooling our home. Tyler loving Physical Therapy. Not. Tyler's Cosplay group rented this house for shooting video! Your collections are always so interesting! That picture of Sasha lying down before the fireworks is priceless. Hilarious what kids will choose to do when they're bored! lol - thanks! on both counts! Your photos are amazing! I love the idea of the Mammatography project, i wish i would have known about it in the beginning! It's a wonderful way to capture memories and events. Visiting from Natural Parents Network, as well, but I'm an avid reader also!!! Thank you! I really have been enjoying the project. I think it will be so cool to look back at the end of the year, too! You should totally join in the fun. Then, when the new year begins, you'll already be in the habit. 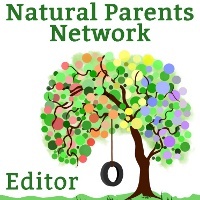 Visiting from Natural Parents Network and Anktangle!